This is the most expensive monkey stamp in my collection. issue on Zodiac series in 1980 known as T46. from all kind of subjects from worldwide countries. there are no problem finding them in stamps collection. 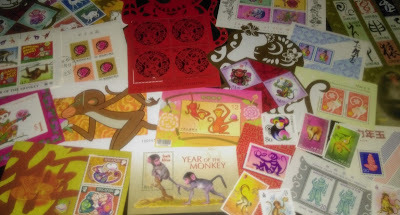 Monkey Zodiac stamps are one of the most popular issue. 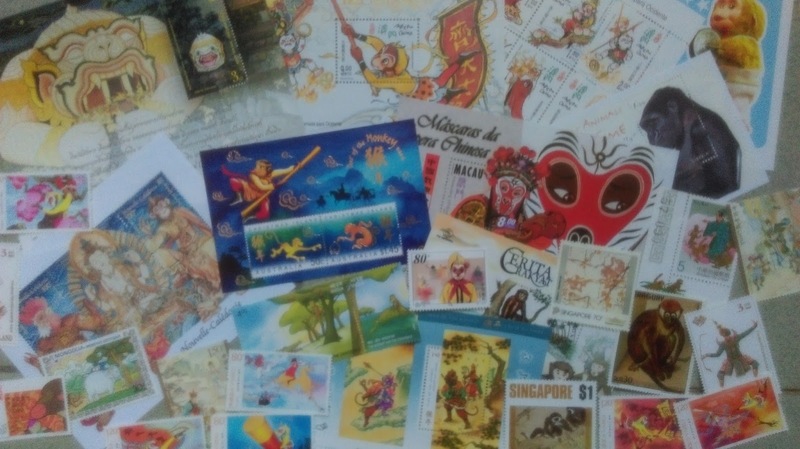 Legends (Sun Wu Kung), Mythology (Hanuman), Fables, Paintings, Toys etc. paper ready to be used for exhibition or presentation.